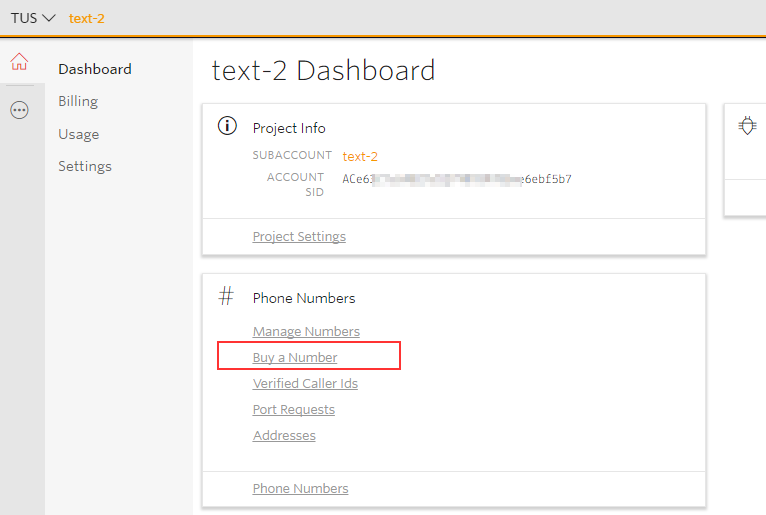 You can now easily send texts to your customers to notify them that an order is ready for pickup, their order has shipped, or for any number of purposes. 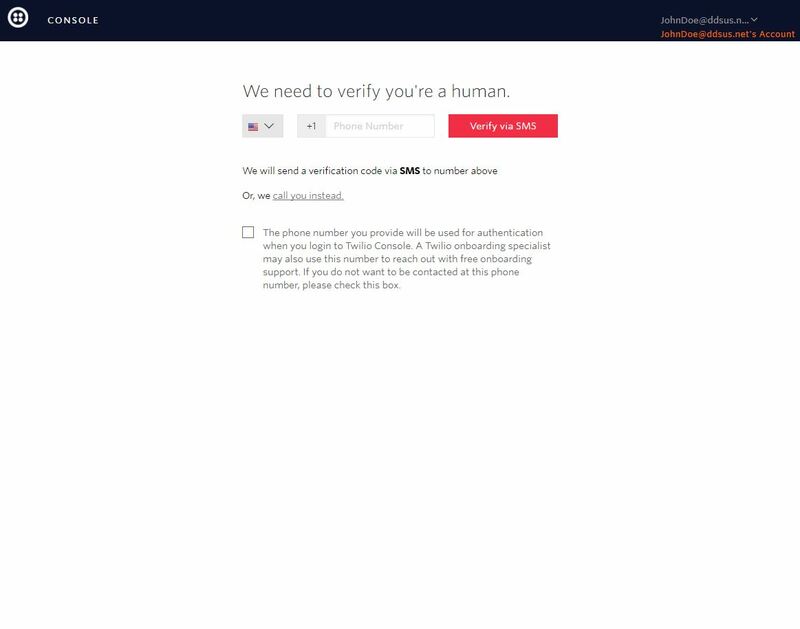 Do you need your own Twilio account? 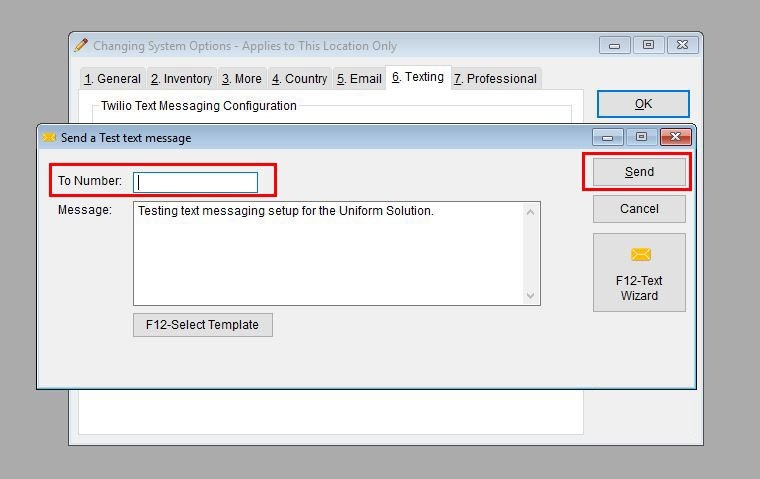 The Uniform Solution already includes texting services. 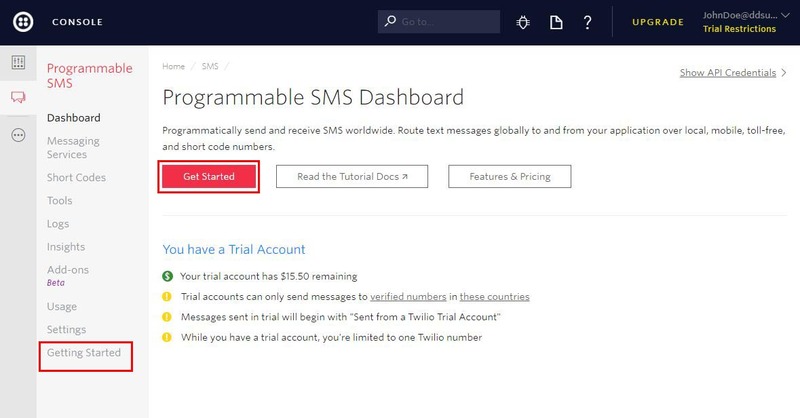 You only need to configure your own Twilio account if you desire to send more than 500 texts per location each year. 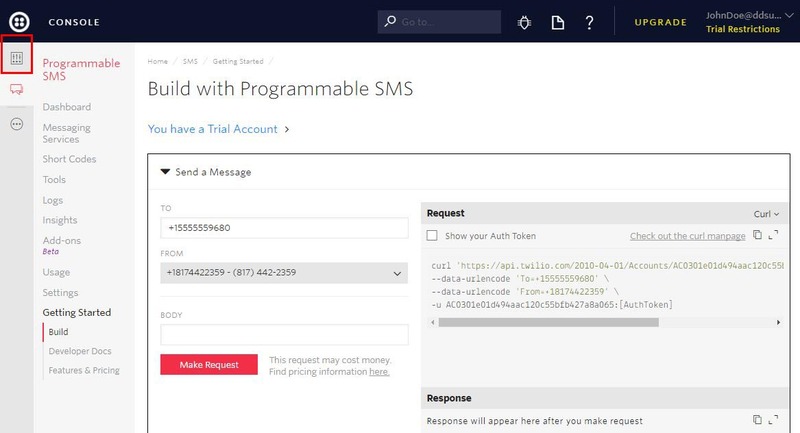 And with your Twilio account, you can also receive replies back from the text you send. 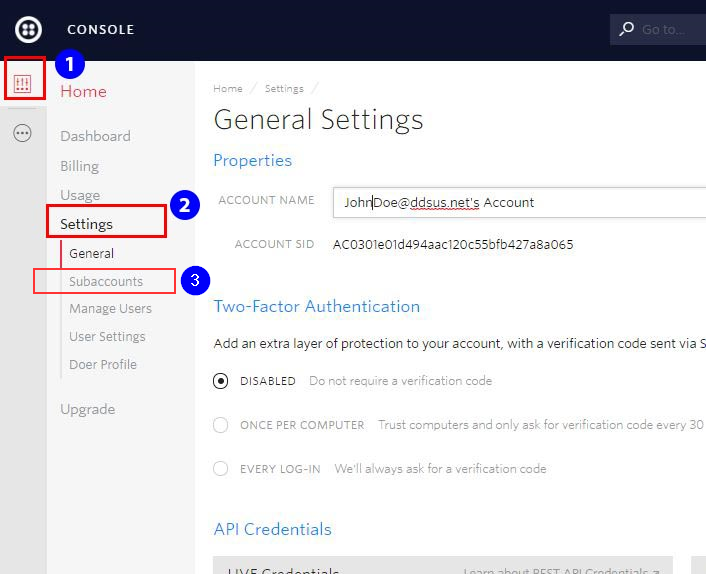 These are the initial steps to help you configure your Twilio account to start working with The Uniform Solution. 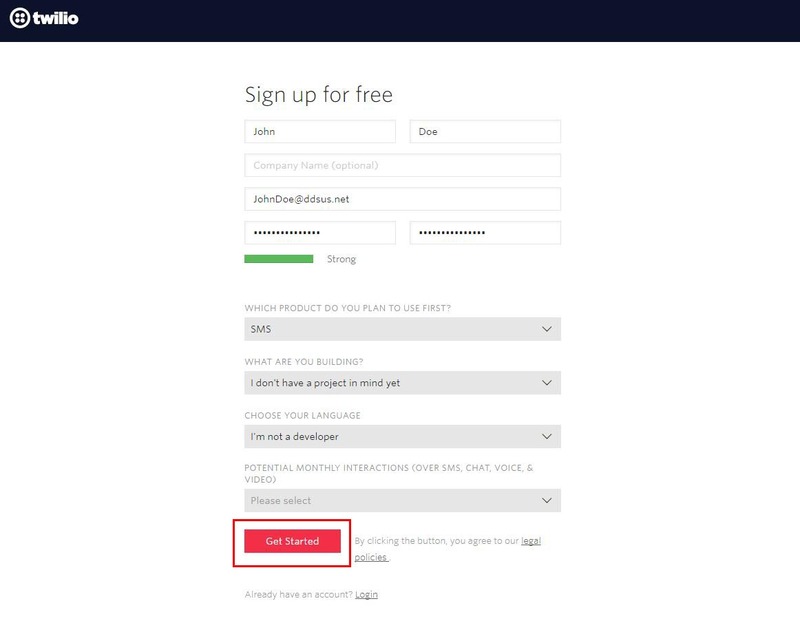 You will sign up for a Twilio account, and then confirm your mobile number (don’t worry, this isn’t the number your customers will see). 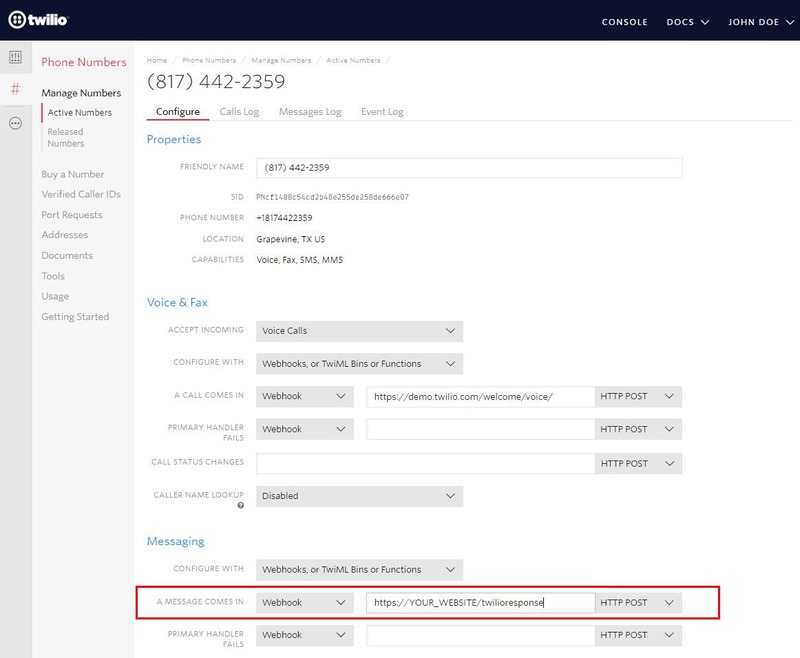 After you confirm your mobile number you will select a Twilio phone number that will be used to communicate with your customers. 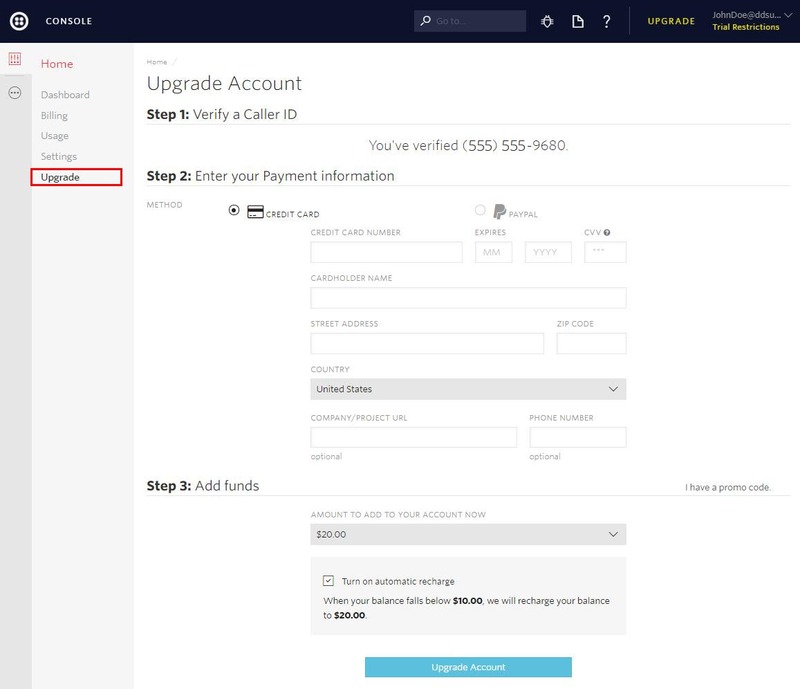 And finally you will upgrade from the free account and submit your account info into The Uniform Solution. 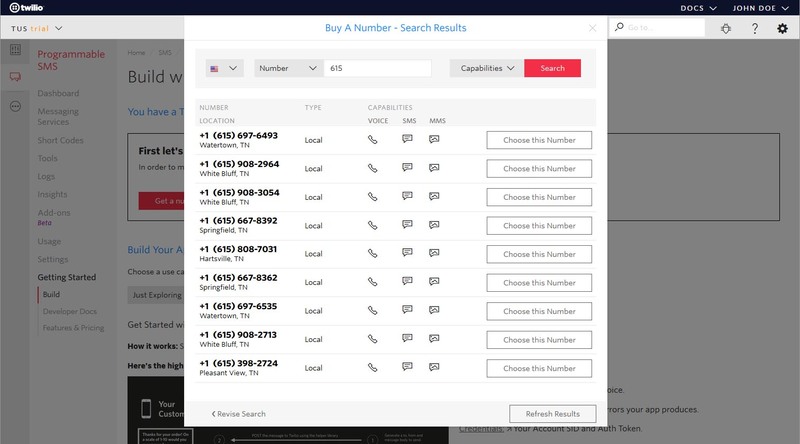 Note: you can look for other phone number options by clicking Search for a different number and entering your desired area code in the search. 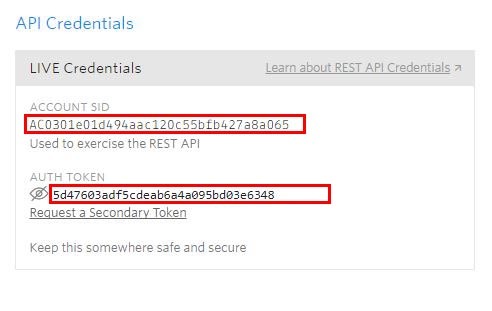 Note: The Account SID and AUTH TOKEN are case-sensitive so be sure to match uppercase letters. 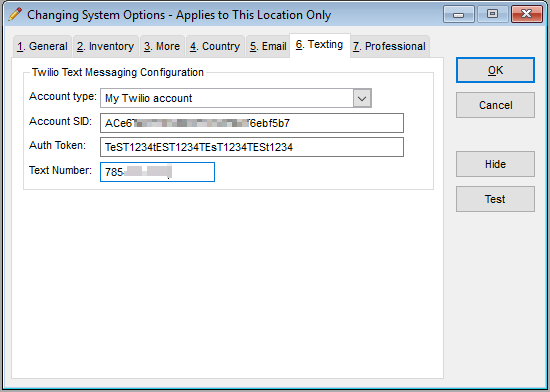 Do you want to receive reply messages via Twilio at multiple stores? Continue through the remaining steps for your main location, and then proceed on to the section titled Multi-Store Setup at the bottom. 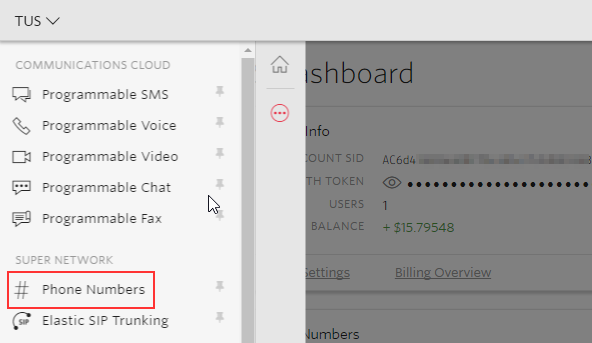 Congratulations on setting up your Twilio account! 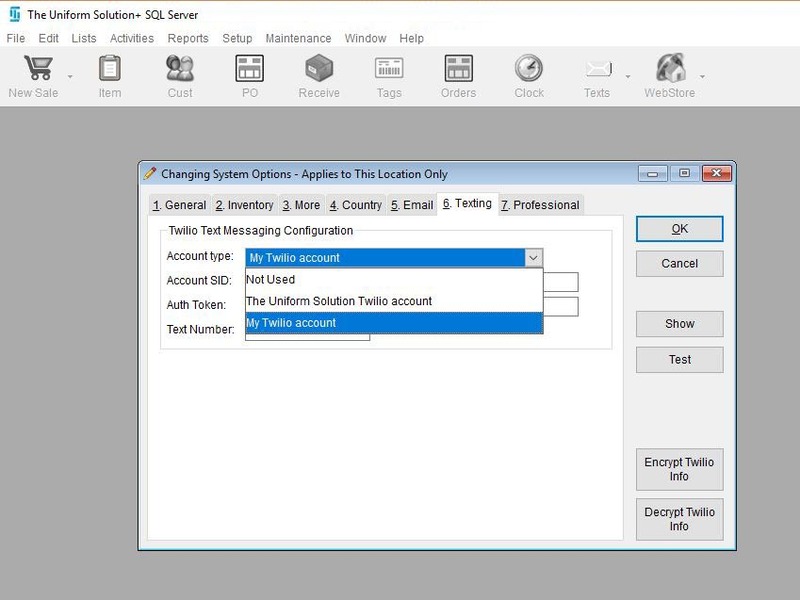 Each location must have a static IP address (or host its own WebStore) in order to receive replies. If you do not wish to receive reply texts specific to each location then you do not need to proceed. For each location we are going to follow similar instructions as listed above. 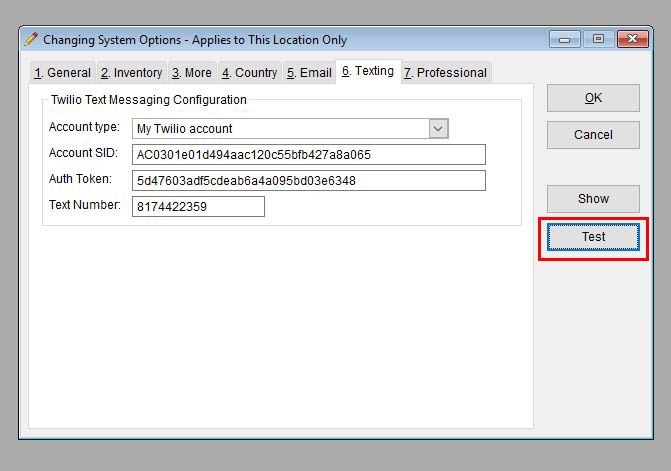 In order for each location to receive replies they will each need a subaccount on Twilio associated with that unique location. Note: The chosen phone number from this list will be the number associated with your other store. 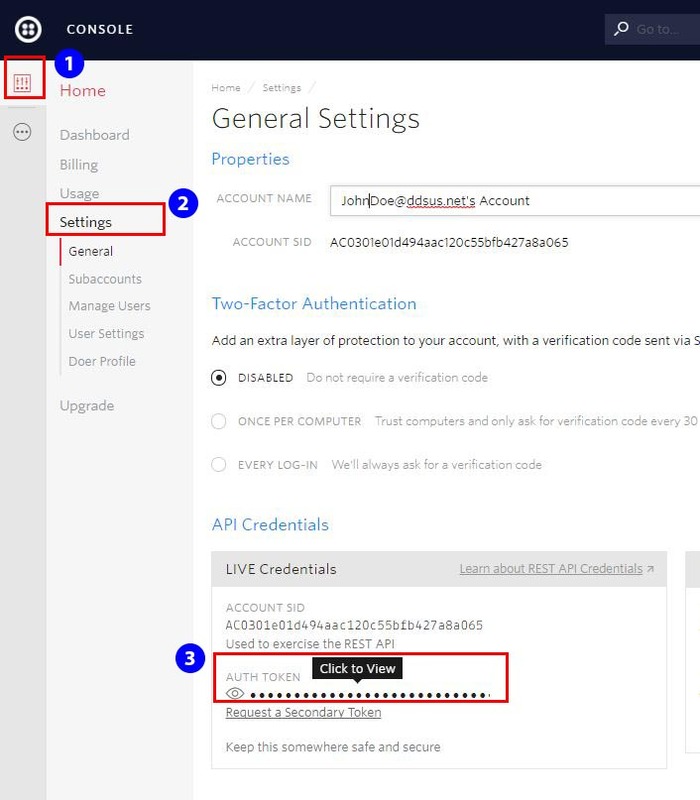 Note: Be sure that you are still viewing the subaccount information, by verifying (1) the Subaccount’s project name appears in the header. 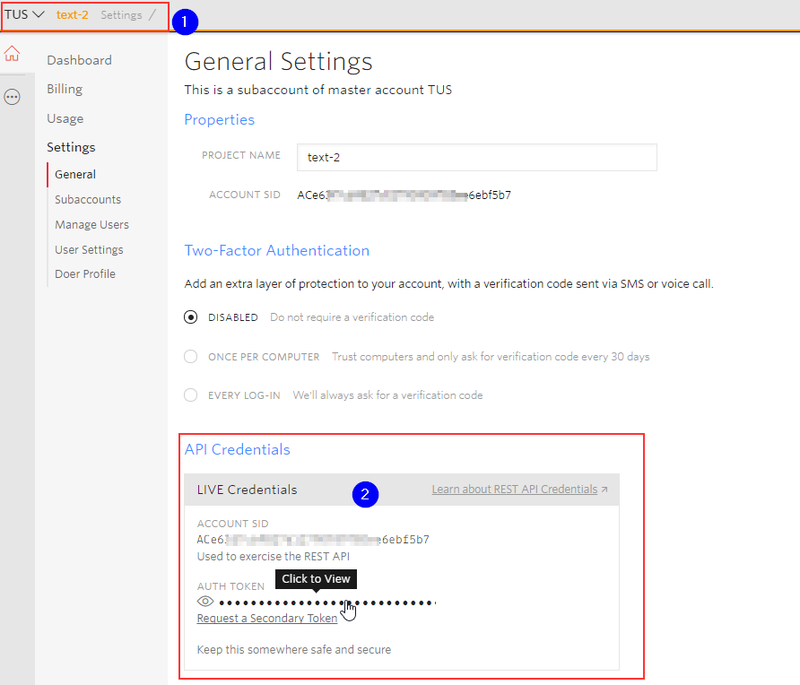 Ensure you are using the ACCOUNT SID and AUTH TOKEN (2) from the LIVE Credentials field under API Credentials. Note: If you do not have a WebStore, but you do have a static IP address at that location, you can use your static IP address in place of the web address (example: http://192.168.168.192/twilioresponse). 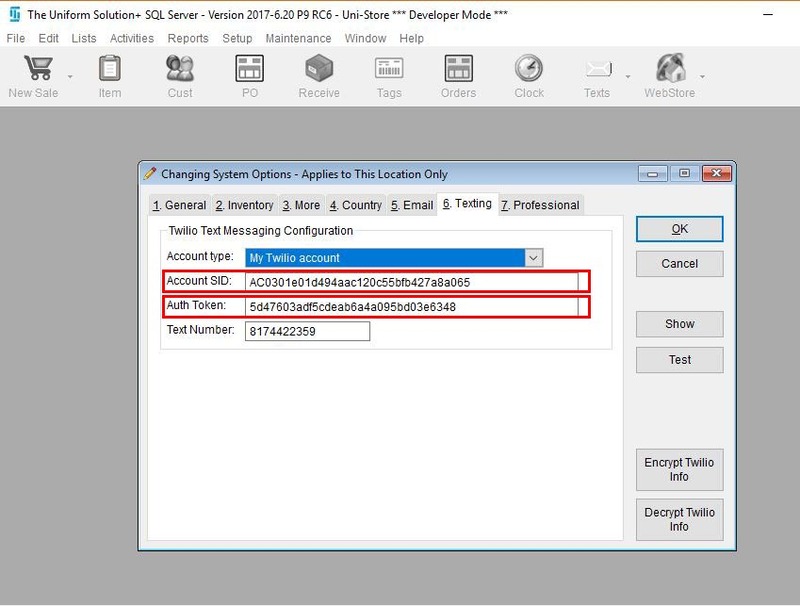 Note: You can test this newly added configuration just as we did above in step 26. Repeat steps 29 through 42 for each additional store.